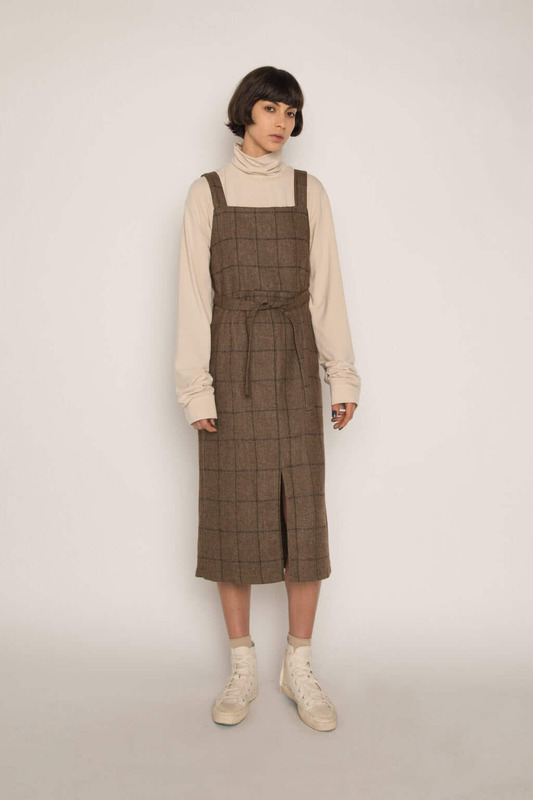 Crafted from a wool-blend, this midi-dress features a straight silhouette, a subtle empire waist with a tie-up belt, and a front center slit for a classic and feminine look. 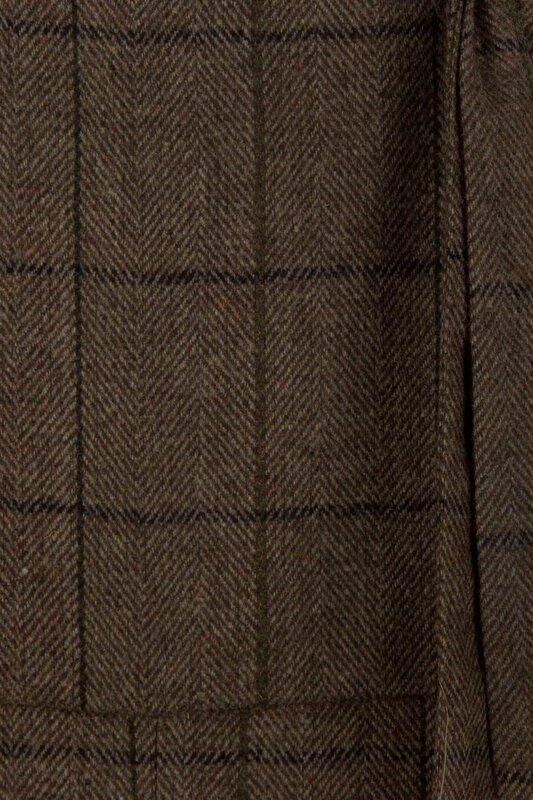 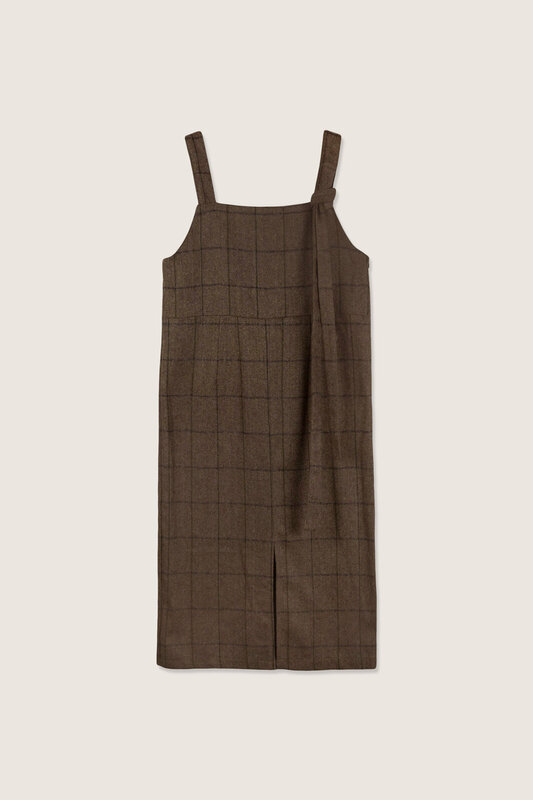 The brown plaid with olive tones gives this piece a chic vintage touch. 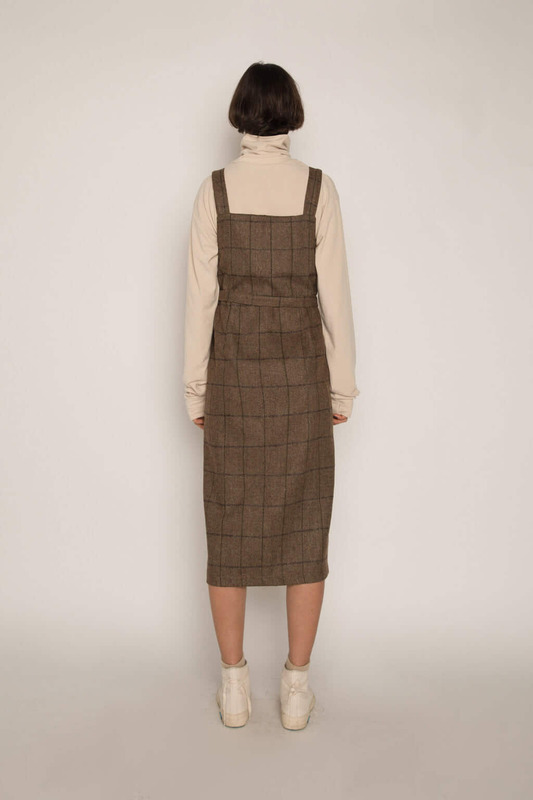 Perfect for layering, pair this dress with a turtleneck and flat mules for an effortlessly elegant look.